Alice Week! 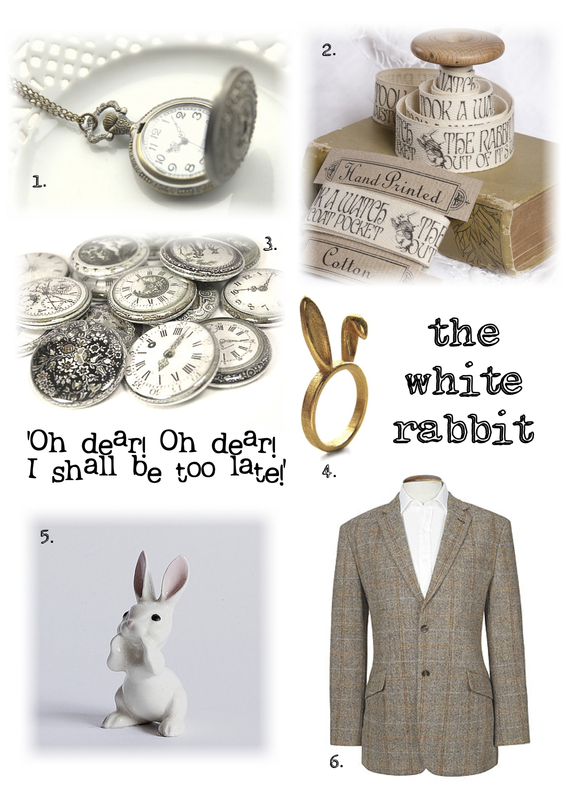 The White Rabbit! In honour of our Weekend In Wonderland (this Saturday the 16th March!) I’ll be posting Alice related blogs all week! I’ll show you some fabulous finds based around some of Lewis Carroll’s crazy characters, insights into the decorations and goody bags I’m getting ready for the weekend, and even a tutorial – or review – or two! I thought I’d kick things off with the first Wonderland resident Alice meets; the ever-late White Rabbit himself! & of course Goodnight Boutique will have lots of White Rabbit themed items on SALE on Saturday including little stud earrings, cabochon brooches and necklaces, and woodcut brooches and necklaces featuring the gorgeous illustrations by John Tenniel, like the one below! More Alice posts coming soon! Great finds! So fun and whimsical!